For other uses, see Saga (disambiguation). Sagas are stories mostly about ancient Nordic and Germanic history, early Viking voyages, the battles that took place during the voyages, and migration to Iceland and of feuds between Icelandic families. They were written in the Old Norse language, mainly in Iceland. The texts are tales in prose which share some similarities with the epic, often with stanzas or whole poems in alliterative verse embedded in the text, of heroic deeds of days long gone, "tales of worthy men," who were often Vikings, sometimes pagan, sometimes Christian. The tales are usually realistic, except legendary sagas, sagas of saints, sagas of bishops and translated or recomposed romances. They are sometimes romanticised and fantastic. The term saga originates from the Norse saga (pl. sögur), and refers to (1) "what is said, statement" or (2) "story, tale, history". It is cognate with the English word saw (as in old saw), and the German Sage. Icelandic sagas are based on oral traditions and much research has focused on what is real and what is fiction within each tale. The accuracy of the sagas is often hotly disputed. Most of the manuscripts in which the sagas are preserved were taken to Denmark and Sweden in the 17th century, but later returned to Iceland. Classic sagas were composed in the 13th century. Scholars once believed that these sagas were transmitted orally from generation to generation until scribes wrote them down in the 13th century. However, most scholars now believe the sagas were conscious artistic creations, based on both oral and written tradition. A study focusing on the description of the items of clothing mentioned in the sagas concludes that the authors attempted to create a historic "feel" to the story, by dressing the characters in what was at the time thought to be "old fashioned clothing". However, this clothing is not contemporary with the events of the saga as it is a closer match to the clothing worn in the 12th century. There are plenty of tales of kings (e.g. Heimskringla), everyday people (e.g. Bandamanna saga) and larger than life characters (e.g. Egils saga). The sagas describe a part of the history of some of the Nordic countries (e.g. the last chapter of Hervarar saga). The British Isles, northern France and North America are also mentioned. It was only recently (start of 20th century) that the tales of the voyages to North America (modern day Canada) were authenticated. Most sagas of Icelanders take place in the period 930–1030, which is called söguöld (Age of the Sagas) in Icelandic history. The sagas of kings, bishops, contemporary sagas have their own time frame. 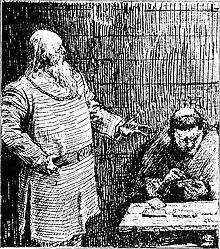 Most were written down between 1190 and 1320, sometimes existing as oral traditions long before, others are pure fiction, and for some we do know the sources: the author of King Sverrir's saga had met the king and used him as a source. 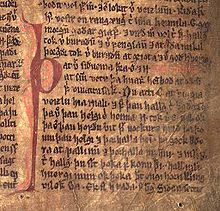 Norse sagas are generally classified as: the Kings' sagas (Konungasögur), sagas of Icelanders (Íslendinga sögur), Short tales of Icelanders (Íslendingaþættir), Contemporary sagas (Samtíðarsögur or Samtímasögur), Legendary sagas (Fornaldarsögur), Chivalric sagas (Riddarasögur), Saints' sagas (Heilagra manna sögur) and bishops' sagas (Biskupa sögur). Kings' sagas are of the lives of Scandinavian kings. They were composed in the 12th to 14th centuries. The Icelanders' sagas (Íslendinga sögur), a.k.a. Family Sagas, are stories of real events, passed in oral form till they eventually were recorded, mostly in the 13th century. These are the highest form of the classical Icelandic saga writing. Some well-known examples include Njáls saga, Laxdæla saga and Grettis saga. The material of the Short tales of Icelanders sagas is similar to Íslendinga sögur, in shorter form. The narratives of the Contemporary Sagas are set in 12th- and 13th-century Iceland, and were written soon after the events they describe. Most are preserved in the compilation Sturlunga saga, though some, such as Arons saga Hjörleifssonar are preserved separately. Legendary Sagas blend remote history with myth or legend. The aim is on a lively narrative and entertainment. Scandinavia's pagan past was a proud and heroic history for the Icelanders. Chivalric sagas are translations of Latin pseudo-historical works and French chansons de geste as well as native creations in the same style. While sagas are generally anonymous, a distinctive literary movement in the 14th century involves sagas, mostly on religious topics, with identifiable authors and a distinctive Latinate style. Associated with Iceland's northern diocese of Hólar, this movement is known as the North Icelandic Benedictine School (Norðlenski Benediktskólinn). "Saga" is a word originating from Old Norse or Icelandic language ("Saga" is also the modern Icelandic and Swedish word for "story" or, especially in Swedish, fairytale). Saga is a cognate of the English word say: its various meanings in Icelandic are approximately equivalent to "something said" or "a narrative in prose", along the lines of a "story", "tale" or "history". Through the centuries, the word saga has gained a broader meaning in Nordic languages. In contemporary Swedish and Danish it describes a non-realistic or epic work of fiction. Folksaga means folk tale; a fairy tale by an unknown author, in Swedish and Danish. Konstsaga is the Swedish term for a fairy tale by a known author, such as Hans Christian Andersen or Astrid Lindgren, while the Danish and Norwegian term is kunsteventyr ("adventure"). Saga can also be a work of fantasy fiction. J. R. R. Tolkien's The Lord of the Rings series was translated into Swedish by Åke Ohlmarks with the title Sagan om ringen: "The Saga of the Ring". The 2004 translation was titled Ringarnas herre, a literal translation from the original. Icelandic journalist Þorsteinn Thorarensen (1926–2006) translated the work into Hringadróttins saga meaning "Saga of the Lord of the Rings". In Swedish history, the term sagokung, "saga king" is intended to be ambiguous, as it describes the semi-legendary kings of Sweden, who are known only from unreliable, probably fictional, sources. In Faroese, the word underwent U-umlaut becoming søga, and adopted a wider meaning. In addition to saga, it also covers terms such as history, tale, story. ^ "Clothing In Norse Literature (HistoriskeDragter.dk)". Archived from the original on 2014-11-23. Retrieved 2013-11-15. Look up saga in Wiktionary, the free dictionary. "Saga" . Encyclopædia Britannica. 23 (11th ed.). 1911.